The Roman Anglican: Another Florentine hidden gem: the Cenacolo of Sant'Apollonia. 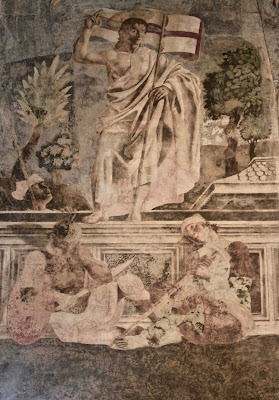 Another Florentine hidden gem: the Cenacolo of Sant'Apollonia. 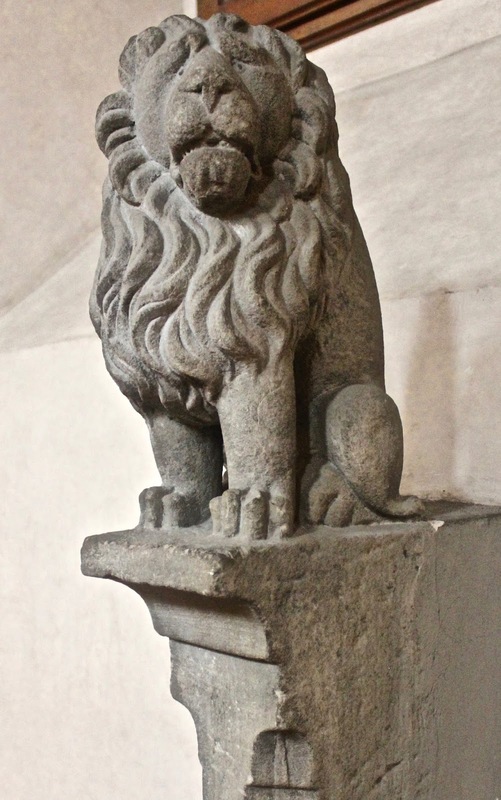 I mentioned in an earlier post that many believe that Florence is a small city with some museums and a bunch of famous churches, but as I said it is entirely untrue. There are also several gems in a quantity and quality that can easily be compared or even outnumber that of Rome! (Romans will never admit, or know, this). One of these small gems is the Cenacolo di Sant'Apollonia just a block away from the famous Museo di San Marco. The monastery that hosts the Cenacolo is dedicated to the martyr Saint Apollonia and it was founded in 1339 by Piero di Ser Mino for Benedictine nuns. Between 1440 and 1441 a church and another monastery were annexed, in those years, the abbess Cecilia Donati asked permission to pope Eugene IV, who was then in Florence, to execute some works on the complex in order to introduce the new Renaissance style. 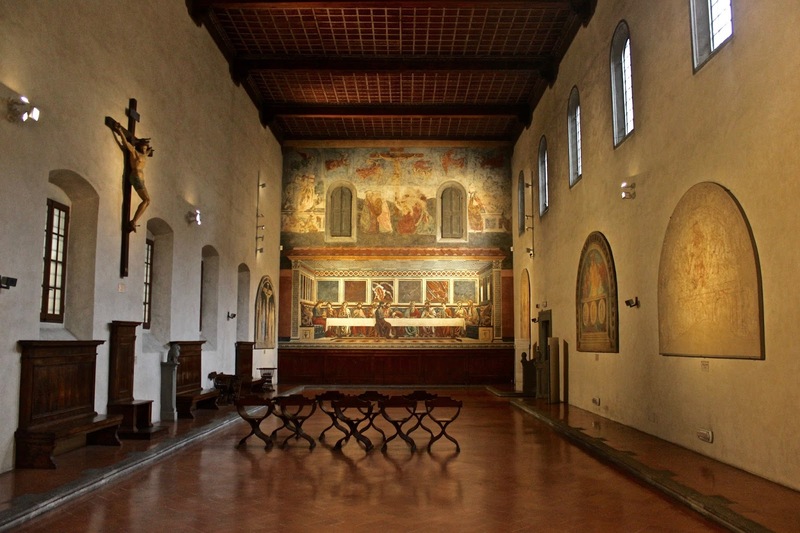 The refectory was enlarged and was decorated with a fresco of the Last Supper by Andrea del Castagno, one of the earliest Renaissance artists, in 1447. Vasari, the great chronicler, does not mention this masterpiece in his Lives of the Artists because in fact it was located in a feminine monastery! The discovery only occurred with the suppression and requisition of the monastery in 1864 with the unification of Italy. 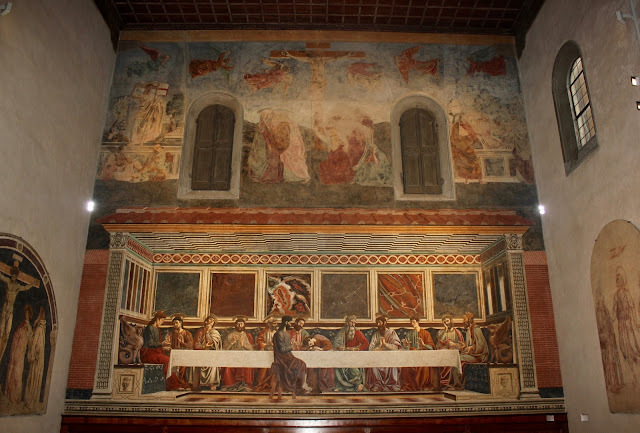 Castagno's Last Supper is one of the main (and the first) Cenacoli in Florence, the other two being at Ognissanti church and in the nearby San Marco's convent, both by Ghirlandaio. It is a favourite theme for monastic refectories. 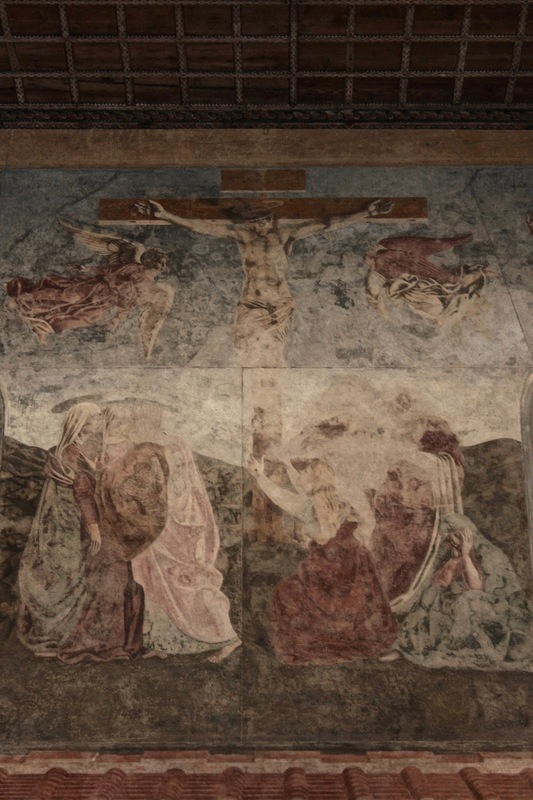 The masterpiece was executed between 1445 and 1450. The fresco which occupies the entire end of the refectory is made of a central section, with the Last Supper, and another section with scenes of the Resurrection, the Crucifixion and the Deposition. Unfortunately the upper section was whitewashed during the 1600s and was only rediscovered in the 19th century so it has not been preserved very well. The Last Supper seems to be set in a small building, a sort of imperial triclinium in the manner of Leon Battista Alberti, in a way that allows the spectator to see the interior. The scene is very detailed: the roof tiles, the ceiling and all the decorations in general are incredibly exquisite. 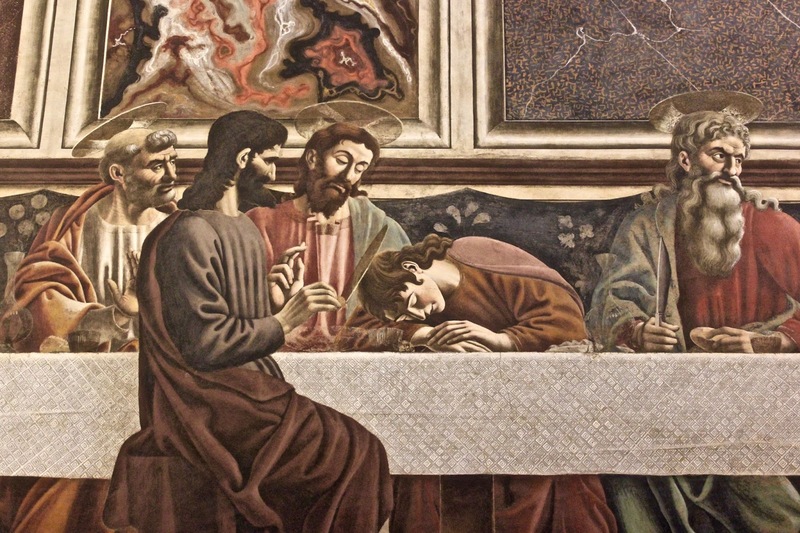 Jesus and the disciples are all sat around a long table, set in a classical room, with refined decorations - the white table cloth underlines that the scene is horizontal. All are facing the spectator, except Judas who is on the other side, seating on a stool. This is typical of the iconography of this subject - his beard his similar to a satyr - a figure that early Christians associated with the devil. Another traditional element is the resting Saint John. The espaliers of the sedilia are decorated with sphinxes and amphoras - a clear Renaissance reference to the classical world. Behind the apostles is a very popular Florentine decoration, a series of (painted) marble panels. The panel behind Christ seems to be brighter than the others, for obvious reasons! The light comes from the narrow windows on the left. The representations of the apostles are very fine and their expressions are very intense while the table is set with bread and wine. The upper level is decorated with the Resurrection, the Crucifixion and the Deposition - the scenes are divided by two windows. The colours seem brighter because these scenes are set in outdoor settings. This light might also signify the light of God - a sign of hope and salvation. Renaissance backgrounds are famous for representing hills, woods or similar "environments" - in this case the background is very similar to that of the hills near the Mount Falterona, in the Tuscan countryside near Arezzo - where Andrea del Castagno was actually born. These scenes are very moving - there is a lot of pathos in the hug of Saint John or the fainting of the Virgin. 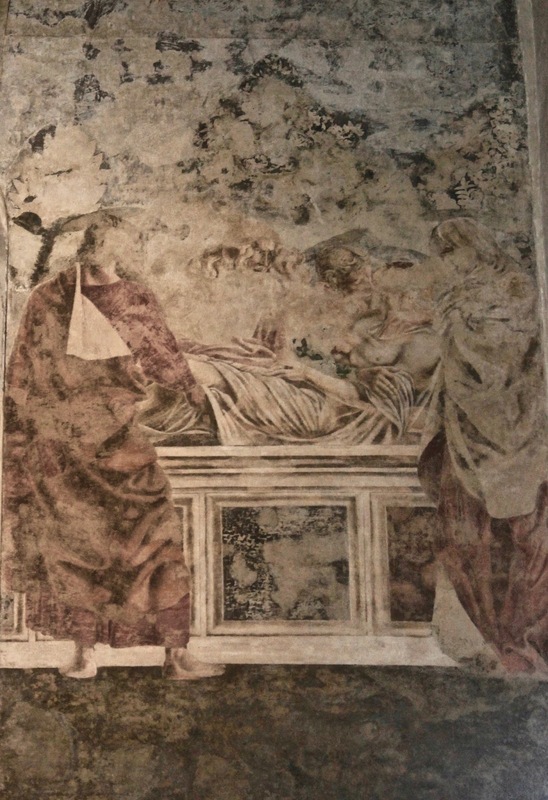 The angels create a sort of link between the different scenes. 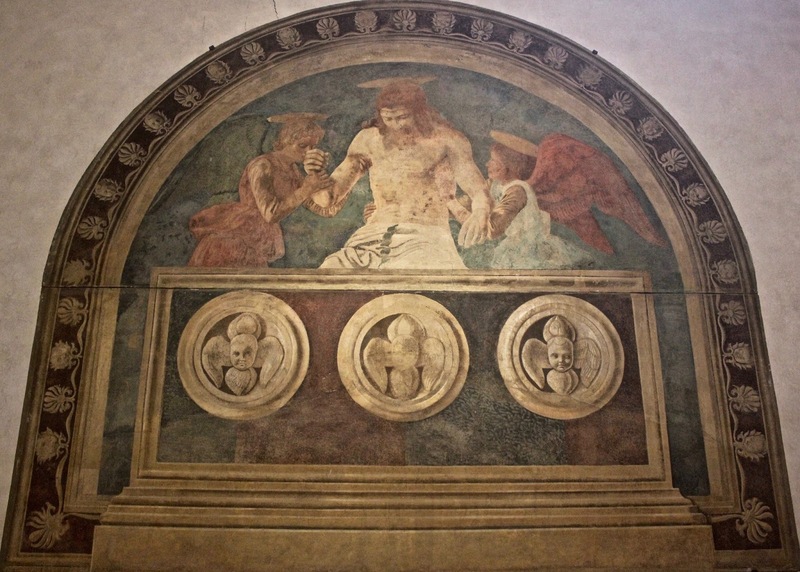 Another work in the monastery by Andrea del Castagno is a Man of Sorrow with two angels, from the same time of the frescoes. This little gem, not far from the Museo di San Marco is definitely worth a visit - a visit to the earliest stage of the Renaissance! This is a real labour of love, and a tremendous journey! Thank you!!! Thank you as well, having feedback is certainly vert gratifying!